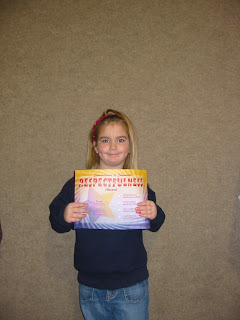 Jacy received the Character Trait Respect Award for second quarter. Jacy is always considerate of her peers and teachers. She treats everyone she meets with respect and is an excellent example of respect in the classroom. She is kind to all and treats people the way she wants to be treated! Congratulations! !